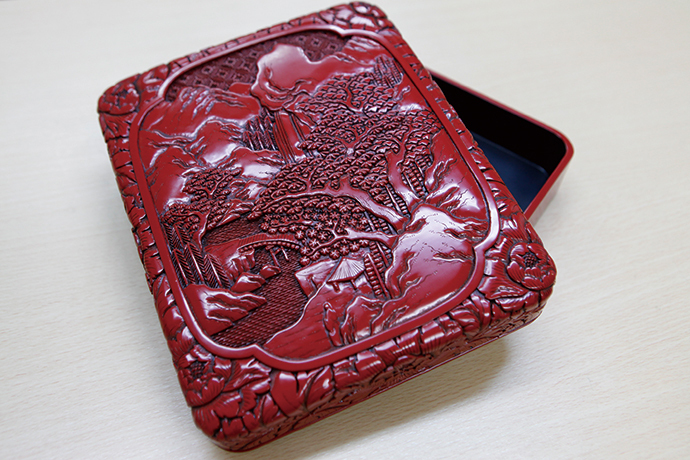 Murakami-kibori-tsuishu is famous for its wood carving and red lacquered finish. The matt surface is very unique to the product. You can enjoy its polished effect as it becomes glossier for a longer use. The Murakami-kibori-tsuishu Kaikan (center) below displays and sells various products from chopsticks to vases made by many artisans.